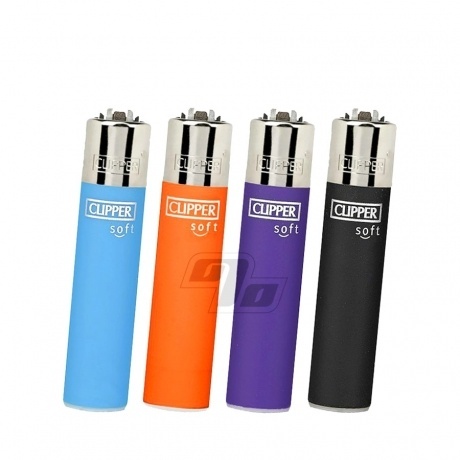 This Clipper Mini Lighter has a soft touch rubbery finish; a pleasure to hold and use. Only 2.5 inches tall by 0.5 inches in diameter, it easily fits the pocket without an unsightly bulge. Clipper Mini Lighters are definitely not your average lighter. Clippers are famous for their reliability and quality. Each one is made in Spain from a super strong nylon material instead of cheap plastic. Won't crack and explode like cheap lighters. 3000 lights from each one, opens beers w/ease, integrated poker and it's refillable. 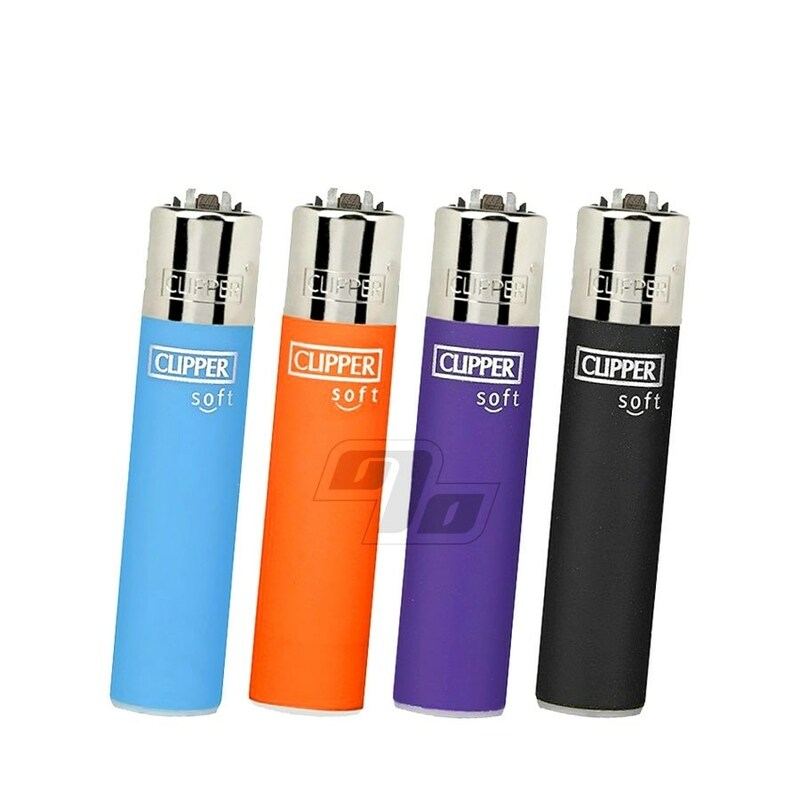 are clipper lighters ... made in spain and these soft ones are so small they can fit easily into a small pocket and are also re-fillable which is great. the flint comes out as it's own poker to help with rolling a nice spliff. world renowned and here on 1percent in multi-colours at a very reasonable price as they are hard to find. grab a few. I love these little lighters. They fit well in my hand and I think the taste of the butane is better. 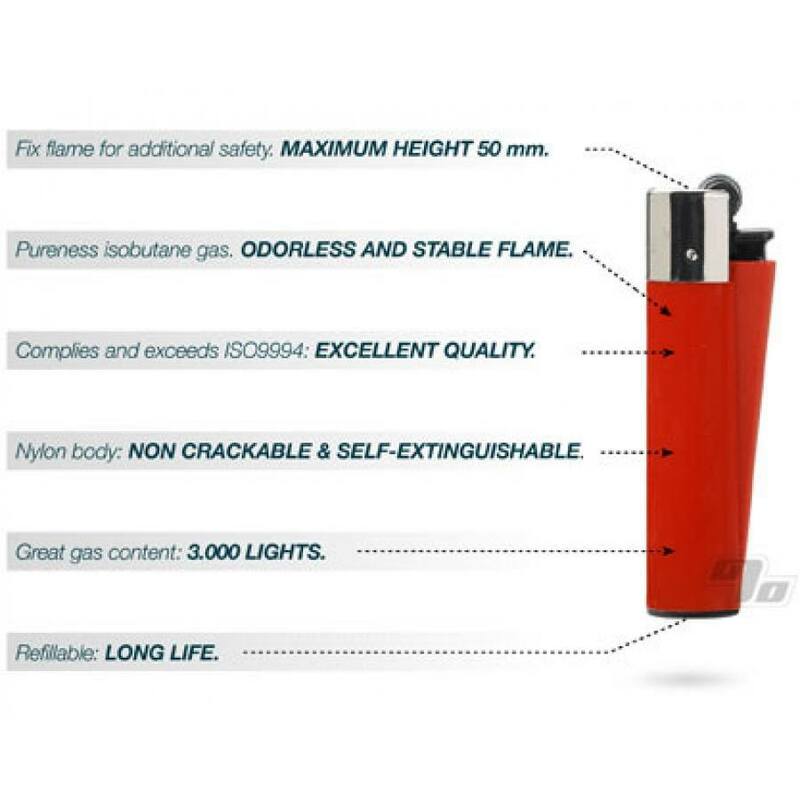 This is a great little lighter with nice action. The size is perfect to fit it and a Sneak-a-smoke in my Krypto Kit. And the thing is refillable (assuming I don't lose it lol). Recommended for sure. What more is there to say - Clippers rock! You get one mini lighter per order and you can request a specific color if you want at check out. The mini soft touch version feels good in my hand, is easy to hold, and is the perfect size for my small hands. It's easy to refill and to replace the flint. The poker is an added plus. I actually prefer using this lighter over bic lighters now. Nubbies other wheel make these lighters a must have for anyone with limited hand functionality. Only reason why I am giving it 3 stars is because these lighters can't keep up with my usage I think its because that flame is set on high so its using more gas to stay bright and blazing and you don't have that option to lower it but for the price it serves its purpose well.